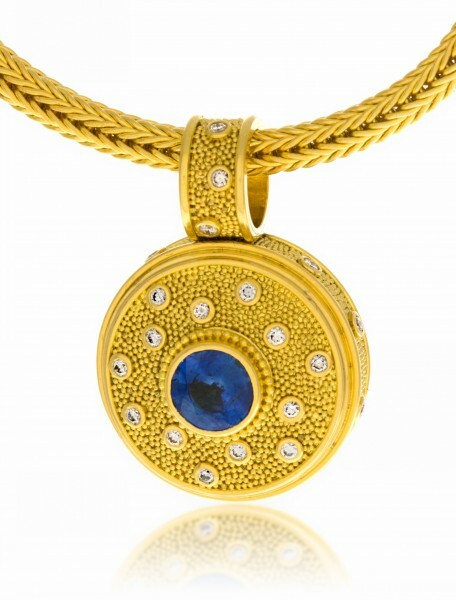 22K gold pendant with blue sapphire 1.0 ctw and twenty-five diamonds in a random pattern .25ctw. Approximately 1 1/16” high. Shown on the 22K, 3.25mm width, hand-woven chain (sold separately).